This is part 2 of a 2-part series about converting strangers (AKA cold traffic) into buyers and friends. Making sales online comes down to one thing ... converting cold traffic into buyers. 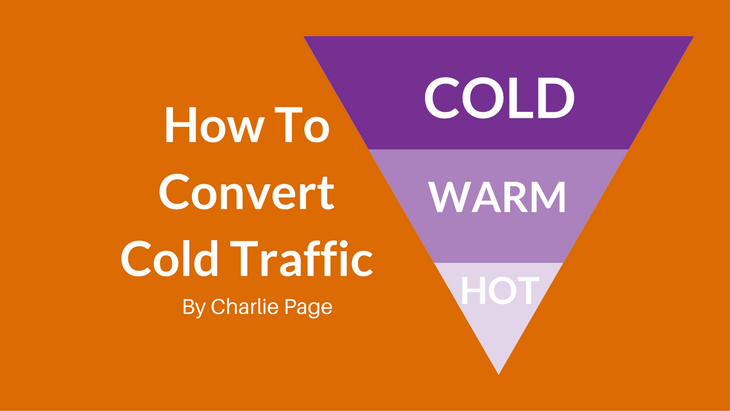 The #1 skill you need to develop is converting cold traffic into buyers. The most profitable profession online is converting cold traffic into buyers. Converting cold traffic into buyers is a logical step by step process. In today's video I reveal the last three steps. CLICK HERE FOR DONE FOR YOU TRAFFIC! Please look closely at both pages, something is wrong. I have done so and the pages look right to me. The blog post image and introduction are very similar but the videos are there correctly the best I can tell. It seems your blog post is sending us around on a continual loop to part 1.Even the link above from someone making the same enquiry as mine takes me back to part 1.There doesn’t seem to be a part 2 anywhere. Another reader said the same thing but the pages seem to be working correctly. I apologize for any inconvenience. The last thing I want to do is make the content hard to use! Is there a link on this page for the second video? I can’t find it! Here you go. Click here.